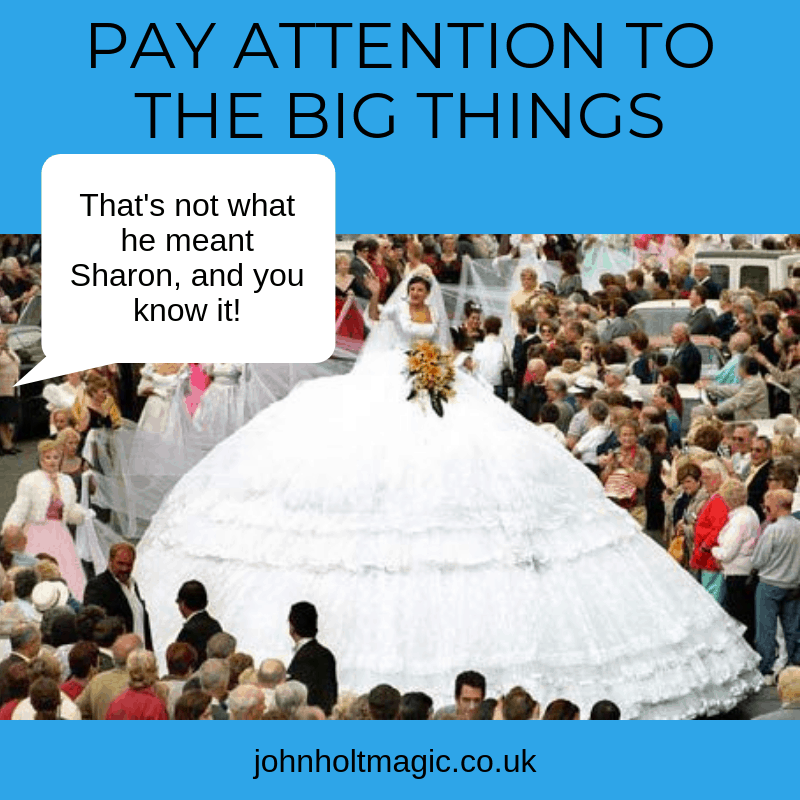 When you think about that great wedding you went to a few years ago, you probably don’t remember the colour of the napkins or who split an infinitive during the wedding speech. It’s the same with that awesome corporate event you had last year. It wasn’t the layout of the room or how many appetisers there were that made it awesome. In fact, if you had to pin it down to just one or two small things, you probably couldn’t. It’s not the little things that make memories – it’s the FEEL for the whole event. When you dream about how you want your guests to talk about your event in the future, you probably don’t imagine the little things. This is “big picture” stuff. Keep this in mind when you’re arguing between shades of pink or spending three weeks choosing fonts for the invitations*. I know these things seem important, but, in the long term, they’re probably not. In a few years, your guests will look back and remember how they FELT being at your event. They’ll remember it forever, so how do you want them to remember it? What are the “big picture” things you need to put in place to make this happen?